Northern Texas is quickly becoming a top destination location for retirees and active adults. It is a large and diverse area that has been shaped by many cultural and historical influences. The Dallas/Fort Worth area is the number one tourist destination and is home to one of the largest airports. There are many 55+ active adult communities in Northern Texas that provide desirable amenities, well-crafted homes and a convenient location. Northern Texas is over 9,000 square miles and is made up of 12 counties and 135 cities. It is the 4th largest metro area in the nation. Northern Texas is centered around the Dallas-Fort Worth area and is the largest metropolitan area in the state. This northern region experiences the coldest and hottest temperatures in the state due to it not being near the water. Northern Texas has a subtropical climate with hot summers and mild winters. Severe storms are frequent in the spring due to its location. Cities and towns in northern Texas display cultural and historic attractions of Texan heritage. Many active adults love living in this area for its admired destinations such as the Stockyards National Historic District, Wichita Falls Railroad Museum, Dallas Heritage Village, Arbor Hills Nature Preserve, Celebration Station, and Fort Worth Museum of Science and History. Northern Texas has great educational facilities and is home to 20 colleges and universities, 17 graduate schools, 3 medical schools, 2 law schools and 20 community colleges. Active adult residents love that they can continue their education if they desire. Those who love to travel or have family visit appreciate the Dallas/Fort Worth International Airport, which is one of the largest and busiest airports in the world. The cost of living in Northern Texas ranks below the national average. 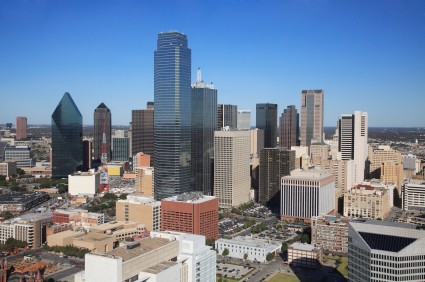 Forbes rated Dallas the 13th best place for business and careers, due to the no income tax. Active adult residents love owning a home in northern Texas because of the reasonable estate prices and the richness of land. Northern Texas continues to grow as an ideal retirement destination every year. Northern Texas employs more than 350,000 people in the healthcare industry. It is home to over 130 hospitals. Some of the more well-known facilities include Baylor University Medical Center, UT Southwestern Medical Center, Texas Health Harris Methodist Hospital and Medical City Dallas Hospital. Retirees and senior residents love knowing that they are close to top-notch facilities in case of an emergency.